This page consists of quotes made the night before the Battle of Antietam. It was last updated on December 21, 2011. There are 47 quotes in this collection. From “Dying as Brave Men Should: The Attack and Defense of Burnside’s Bridge.” by Keith B. Tomey. The Maryland Campaign of 1862 and its Aftermath, Civil War Regiments Vol 6 No. 2. Campell CA: Savas Publishing Company, 1998. A Pennsylvania soldier. Yankees take some provisions from the rebel dead. A soldier of the 11th Connecticut recollects the orders to attack the bridge. George B. McClellan. Additional orders to Burnside upon hearing from him that a battery was delaying his advance. 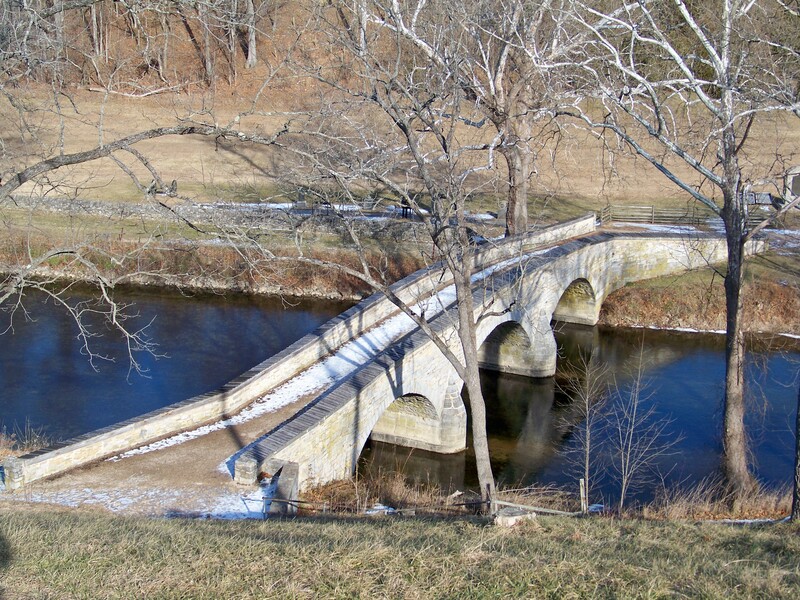 Upon hearing of the capture of the bridge, McClellan sent Colonel Thomas Key to Burnside with additional orders. From Our Boys Did Nobly Schuylkill County Pennsylvania, Soldiers at the Battles of South Mountain and Antietam by John David Hoptak. John David Hoptak, 2009. My .gr. gr. uncle died at Burnside’s Bridge serving in the 51st Pennsylvania and is buried in Antietam’s cemetary. I have been trying to learn more about the 51st Pennsylvania. 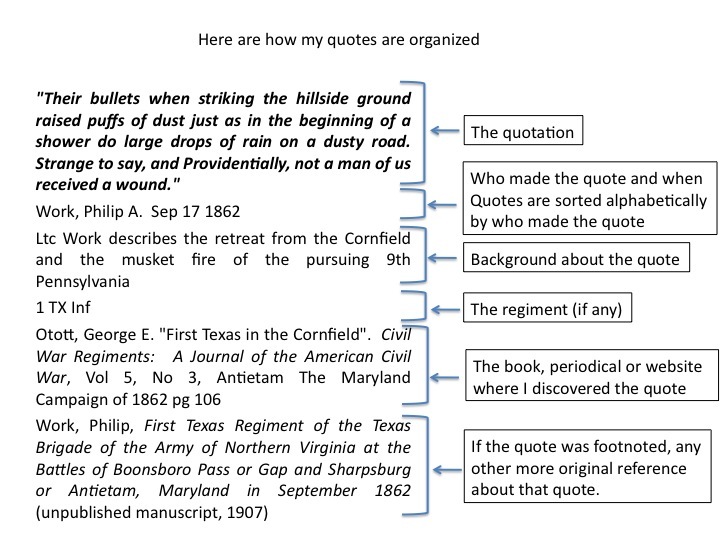 Reading these quotes helped me to better understand the task that the 51st Pennsylvania engaged at Antietam. Perhaps my uncle was in that first hundred to pass through the fence where so many died. Good luck on your research on the 51st Pennsylvania. It is certainly possible that he was in the attack across the bridge as you know that both the 51st Pennsylvania, and 51st New York led the attack. Thank you for looking at my blog.